Pre-racing trials at Limerick last night saw some Kirby entries going through their paces and the rain softened circuit was definitely on the slower side at that early stage, remaining so throughout the thirteen race programme. Ivy Hill Blitz posted 28.85 (with 4.26 and 16.49). Jaytee Charlie 28.90 (4.18 and 16/48). Droopys Dresden 29.08 (4.31 and 16.63). There was many good performances from certain Kirby entries throughout the night's racing and Graham Holland saw three of his Kirby hopefuls rubber-stamp their credentials with victory. Clonbrien Hero was very impressive when ensuring a solo after a fast start from Trap 2, posting 28.74 with sectionals of 4.15 and 16.18 in a slick early paced display. Lughill Robbie also ensured a trouble free passage in his A1 event with slick early pace after a level start and he posted 28.90 with figures of 4.25 and 16.30. The Holland puppy treble came in the concluding A1 550 where Rackethall Jess showed pace and admirable battling qualities for one so young when striking the front at the second bend before a facile 6L victory in 30.27 and Graham confirmed her participation in the Kirby soon after. 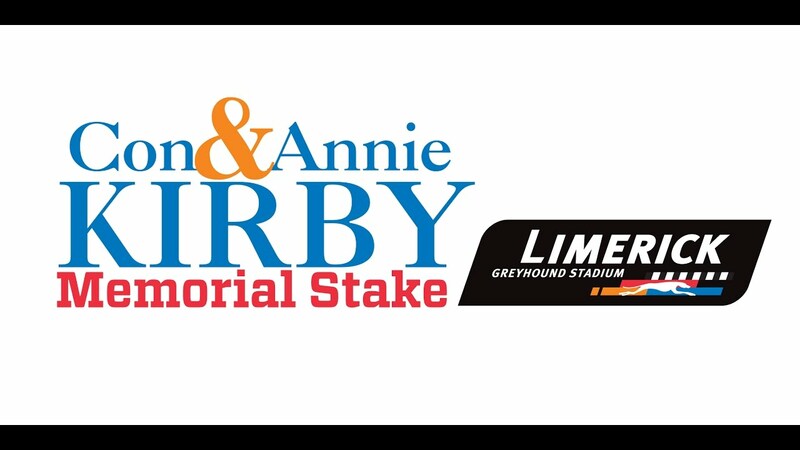 Arguably the most impressive Kirby entrant on the night was Anna McLoughney's Liosgarbh Tim who despite missing his break somewhat, trounced his A3 opposition by 10L when clocking 28.76 with a 16.43 sectional and Cathal McLoughney confirmed that he will be in Tuesday's draw soon after. Also laying down a marker ahead of next week's first round was the recently acquired Paul Hennessy runner Jaytee Barracuda who too was led from traps but an impressive display of back-straight pace saw him hit the front before going on to score in 28.86 off a 16.39 300 yard split. Thanks for the Kirby updates Paul.Keep up the good work.